To view this home is to fall in love with it! 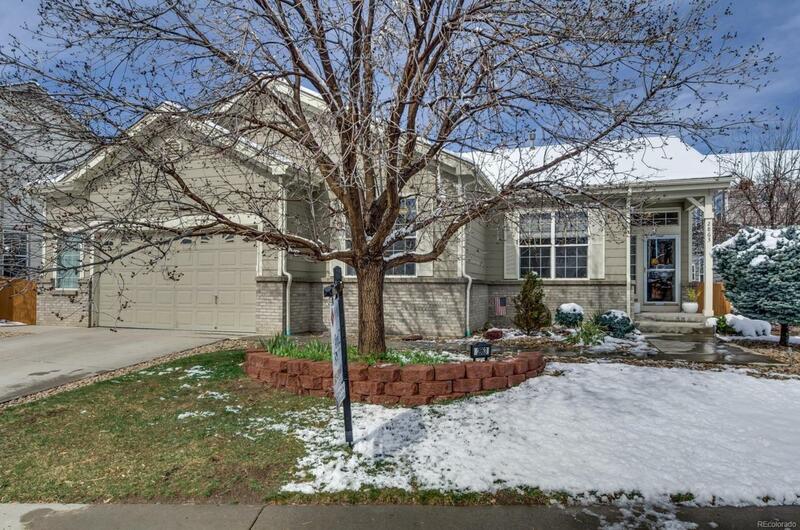 This pristine and spacious 5 bed, 3 bath ranch home on a cul-de-sac across from Tower Park shines with pride of ownership. Newly refinished hardwood floors gleam throughout the open concept family room with fireplace, bright and beautiful dining room, and graciously appointed eat-in kitchen. Enjoy the brilliant natural light and tall ceilings throughout. Do you enjoy cooking or entertaining? The spacious eat-in kitchen w/ pantry opens to covered back deck with mountain views - perfect for gatherings or just unwinding in your own oasis. The master bedroom delights with it's spaciousness, 5-piece master bath w/ corner soaking tub, and ample walk-in closet. Two additional bedrooms and a full bath upstairs.Unbelievable garden level basement has huge family room and bonus room! Two additional bedrooms/offices and a 3/4 bath provide endless flexibility. Stellar location - close to shopping, dining, entertainment and the new Aurora Rec Center. Association Name Primary Tower Park Homeowners Association Inc.